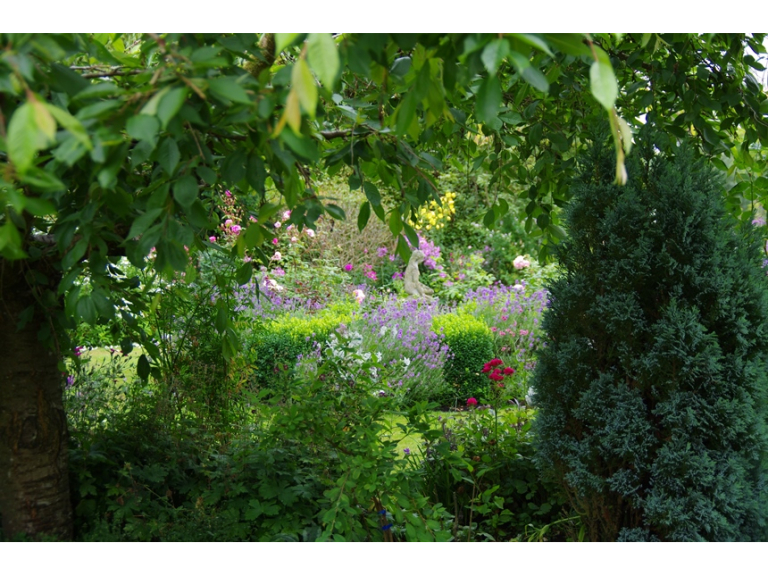 A beautifully-landscaped garden within a five-acre estate. Spectacular, evolving herbaceous borders including a variety of ornamental grasses. In the centre, opposite the house is an amazing abstract sculpture by Ann Vrielinck. The house itself if partly covered by a magnolia, wisteria and boston ivy. Directions: From Boship roundabout take A271 towards Herstmonceux, at traffic lights turn into Park Road and follows signs. Approaching Horam from A22 take road signposted to Marle Green and follow signs.